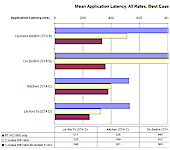 Discussion in 'ASUS AC Routers & Adapters' started by Special, Mar 24, 2019. I have been upset that the rt-ac56u was not included in the routers that would support Aimesh since it is very similar to the rt-ac68u and decided to try and get it to work. I was able to install the rt-ac68u firmware to my rt-ac56u and it has been working in my Aimesh setup for a few hours now. The firmware was flashed using WinSCP and Putty like the Tmobile conversion and the cfe was modified to replace rt-ac56u with rt-ac68u in 2 places. Aimesh is the only thing I have tested and it works. By no means am I an expert, just a frustrated user that would like to pass on some information and hear what everybody else thinks. The RT-AC56U is a discontinued product, which is part of why it will never receive AiMesh support. After more testing the Aimesh works both wired and wireless, the wan port is now lan port 1 and the only led that is lit is the power led. This is running the latest RT-AC68U_3.0.0.4_384_45149-g467037b.trx firmware. I am glad that you are able to get more use out of your router in your current network. I can't see how taking a capable router which still has active updates to it (via john9527's LTE RMerlin fork) and turn it into an AiMesh only capable 'AP'? I sincerely hope that it continues to work for you and your network environment. As far as I'm concerned it does now. The ASUS firmware gets updates too. john9527's firmware doesn't support AiMesh. The only way to do AiMesh is with nodes. Since I started using AiMesh the ac56u has sat unused on a shelf, I could have saved myself some money if I had known this was possible and I posted this to let other people in a similar situation know that it can be used for AiMesh. I also have an old RT-AC56U on a shelf, running AiMesh with 2 other routers, looks nice to include the RT-AC56U. Could you please tell how you flashed it. 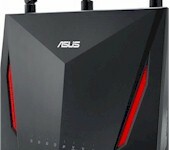 No, the Asus firmware hasn't been updated for the RT-AC56U since before June of 2018. 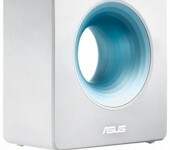 It is an EOL product now, at least from Asus 'official'. AiMesh isn't yet the shining star it may one day become. Great that it works for you today. Bonus, even. Not something you should be relying on though. The updates you are looking forward to on the RT-AC68U firmware fork may very well disable the RT-AC56U from working in a future update (because it will rely more on the actual RT-AC68U hardware). It may even permanently damage it? Hopefully, it won't prevent the router to be reverted back to what it was (a great AC router that punched above its weight-class). Taking a router and turning it (possibly permanently) into a 'dumb' AP (even one with AiMesh capabilities) is not progress from my perspective. You will need Putty, WinSCP, CFEEdit or other hex editor, asus rt-ac68 firmware & mtd-write. If you search for "Bay area tech pros" in Google you can find the files. 1. Enable SSH in "Adminitration" - "System" tab. 2. Open Putty and WinSCP and connect them to your router using its Lan ip address. In WinSCP selet SCP as protocol. 4. In WinSCP you should be in the /home/root or /root directory hit the refresh icon on right side to see original_cfe.bin. 5. Copy original_cfe.bin form router to your computer by dragging from the right window to your computer in the left window. 7. In WinSCP copy the new_cfe.bin, mtd-write, and RT-AC68U_3.0.0.4_384_45149-g467037b.trx back to your router. 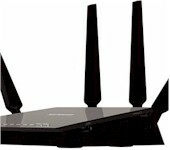 d. Power up the router and continue to hold WPS button for 15-20 seconds until power LED starts blinking very quickly. After reboot it should report as a rt-ac68u. L&LD and kingz like this. Having just done what you wrote, it worked perfectly. Thank you so much for the tip! Your welcome, good to hear it worked for you. Does this give full router functionality now? Or is it just that it supports (only) AiMesh 'node' mode? 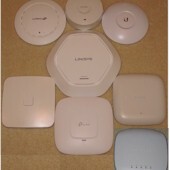 I have only tested AiMesh node and AP point mode and both work. I put the rt-ac56u in place of my rt-ac68u as my main wireless router and it detects my other AiMesh ap and VPN works too. It appears it is fully functional. I'm going to leave it in place for a couple days just to make sure. Now does anyone know how to straighten out the LAN/WAN ports? I made a small change in the CFE but it didn't work. I have two RT-AC56U and i would like to enable them for mesh network. I tried following your steps but mine changed from RT-AC56U to RT-AC56R. I am not sure where and how it got changed from 56U to 56R. What could I be doing wrong? I would check the CFE you copied from the router to the computer, open it in CFEEdit and look to see if it says RT-AC56U/R instead of RT-AC68U. I'm thinking you didn't copy, edit and write the CFE back to the router correctly or didn't clear the nvram by holding down the WPS button long enough after flashing the CFE. It's been 6 days and the 56U is still going strong as the main router in my network. To clarify (no coffee yet!) for me, the RT-AC56U is running as a proper router and not an AiMesh node? If so, I'm getting very interested. It is running in "Wireless router mode / AiMesh Router mode (Default)", there is another router that is running as a node but the 56U is controlling it. So it does work as a normal router too. That is why I'm upset with ASUS, it would take someone who really knows what they are doing to 5 minutes to support the 56U. Were you able to fix the WAN/LAN port issues? Which ports are working correctly? And my understanding is that they all work, but that the labels are not correct. I did the edit and saved it under new_cfe. opened and made sure it held those values. followed through the steps again very patiently but not getting any success. You can tell I am a noob. I am starting to think that I am not changing the two instances you have mentioned. I am using HxD Hex Editor, not sure if that makes any difference. Its funny though, just got my attention that the firmware version on the router is 3.0.0.4_384_45149-g467037b but its being reported as RT-AC56R (originally RT-AC56U) and still no AiMesh option.